La Boqueria has been dubbed numerous times as the world’s best food market by surveys and magazines and its easy to see why. Located just off the famous La Rambla, La Boqueria is Barcelona’s biggest food market with a huge variety of fresh produce. Chefs all over the city head here to find the freshest ingredients for their cooking. 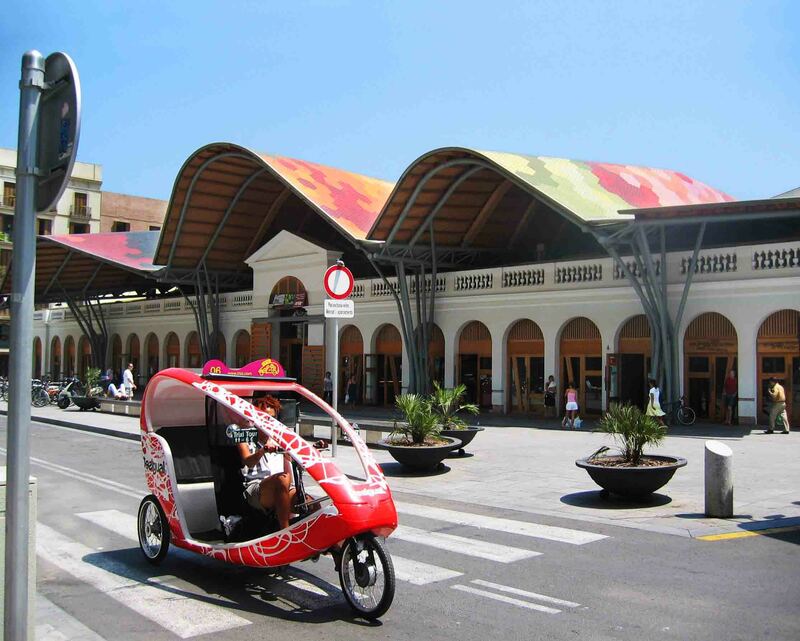 Dotted around the market you’ll also find bars, such as El Pinotxo, where you can sit down and take a break from the hustle and bustle of the market and enjoy fresh food and drink. You can buy freshly squeezed fruit juice from the fruit stalls throughout the market. – It is worth aiming to get to the Boqueria in the morning – preferably before 14:00, as this is when the market is really in full swing. 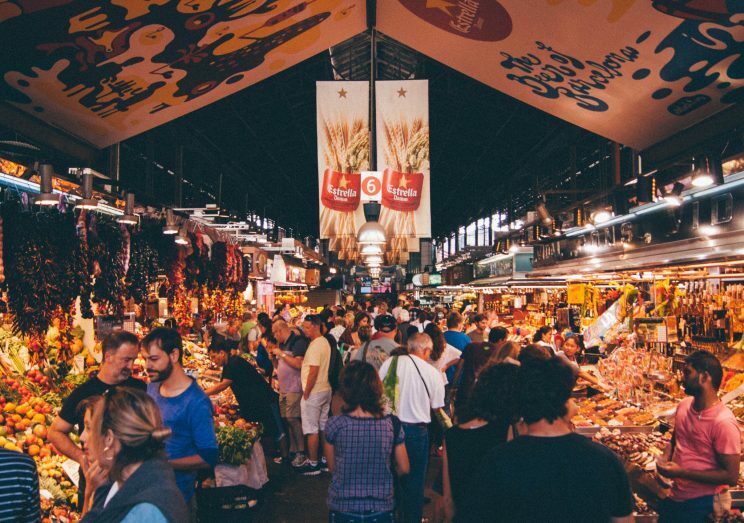 Situated in the heart of El Born and visible from the Cathedral of Barcelona, the Mercat de Santa Caterina is Barcelona’s first covered food market. 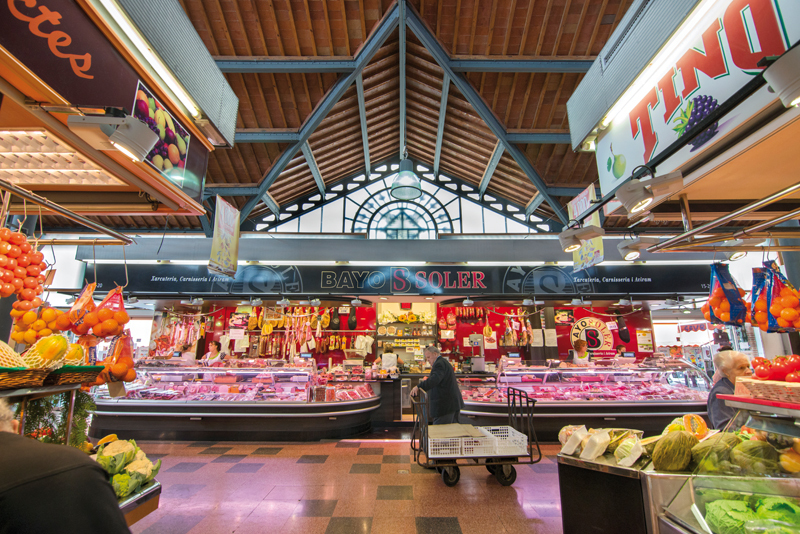 In 2005 it was refurbished by architects Enruc Miralles and Benedetta Tagliabue and has always stood out from other food markets in Barcelona by its desire to innovate. The market has existed in some shape or form for nearly two centuries and has kept the 15th century cloisters and Roman burial grounds intact. Visit the market’s restaurant, Cuines Santa-Caterina, for the best of Asian, Italian, Mediterranean and vegetarian cuisine, cooked with the freshest ingredients just stalls away. They serve breakfast, lunch, tapas and dinner in the evenings. This is best market if you want to shop more like a local and find food cheaper than in the more well-known markets mentioned above. The market is situated in the centre of the beautiful Vila de Gracia, which feels like its own village separate from Barcelona (in the past it was a small town next to Barcelona but eventually was joined to the city to be part of it). At the fish counters, buy fish produce or if you fancy something to eat right there and then, they’ll cook you up whatever tickles your fancy in a sort of pop-up restaurant.